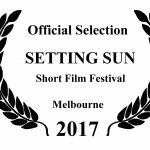 ‘Seeing the Land from an Aboriginal Canoe’ is a Finalist at the Setting Sun Short Film Festival. Join us for a special free public screening of the short film ‘Out of the Closets, Into the Streets’ followed by a panel discussion and Q&A session. Wind and Sky Productions is Highly Commended at the MAGNA 2016 Awards for Seeing the Land from an Aboriginal Canoe.